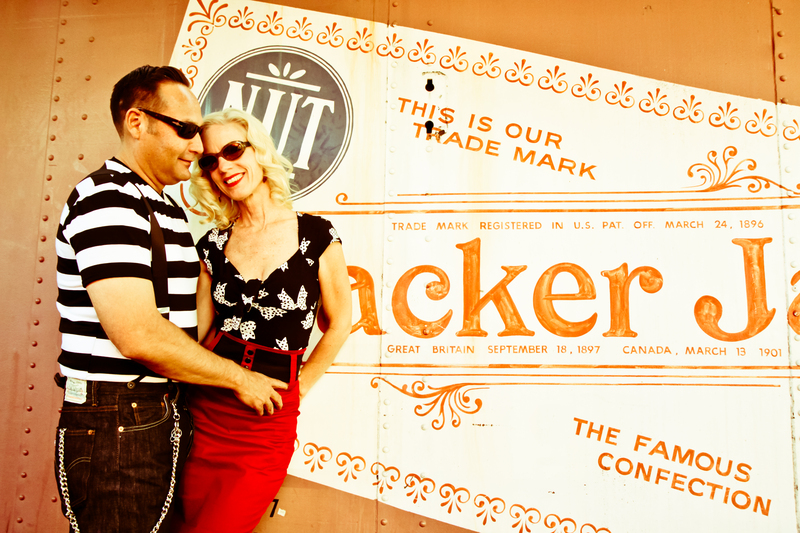 Anita + Emanuel’s engagement shoot … rock on rockabilly! Sometimes I almost feel guilty for having so much fun with my ‘job’! What an amazing evening last night with this incredible couple. Anita is the owner of the fabulous English Garden florals in Laguna Beach, and her fiance Emanuel is as sweet as she is! They are totally into the rockabilly and vintage vibe and dress (and drive!) the part. In and around the train station in San Juan Capistrano (where they live) provided the perfect setting for our shoot. Their 1957(?) Cadillac was the perfect prop! Couldn't resist applying an old-time Polaroid feeling to this shot. This entry was posted in Uncategorized and tagged Orange County engagement photography, orange county engagement photos, Orange County wedding photographer, Orange County wedding photography. Love the photos. You did a great job and they are going to love them. Can’t wait for the wedding Pix.